I'm currently setting up some Save Actions and 1 of them is 'Send Email Action'. In the sent mail, the value of a checkbox field is always 'True' or 'False'. Since it is a multilingual site, this needs to be translated properly. Where can I configure this? 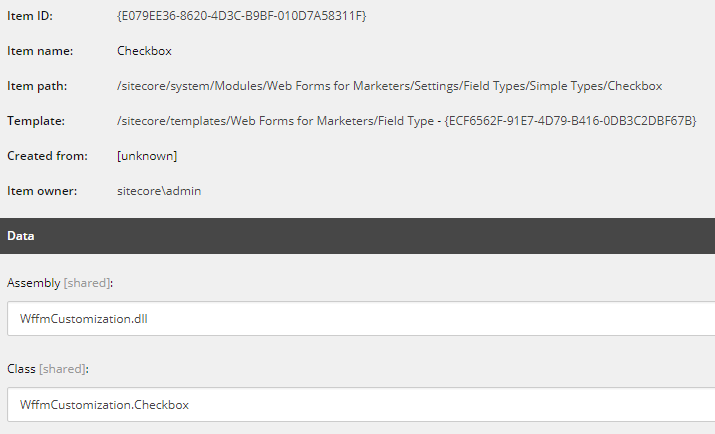 You can override Checkbox class and add Adapter attribute. It's there in WFFM already. I have no idea why it's not used by default. 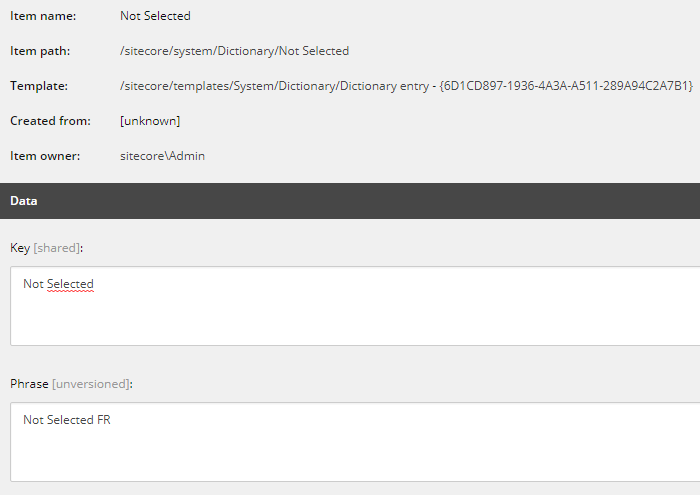 Then add entries with Key set to Selected and Not Selected (camel case - important) in the language you need. To get the translated value in the mail body, we added a processor in the processMessage pipeline. Not the answer you're looking for? Browse other questions tagged wffm or ask your own question. How can I get WFFM to pass in a value that is stored in a cookie? WFFM: Is it possible to not include attachments with one Send Email save action (but include them with all others)?